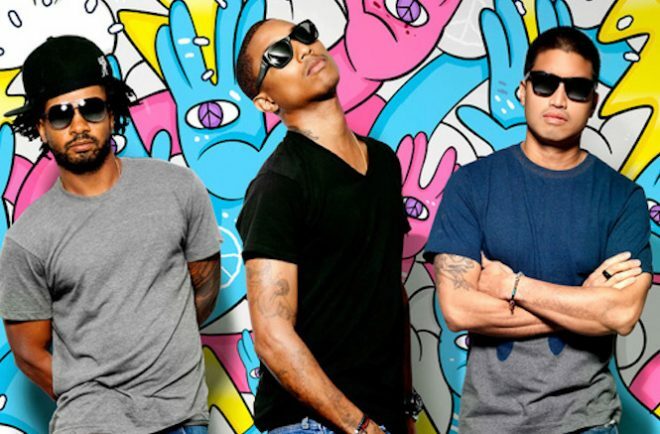 Pharrell Williams and his alt rap project N.E.R.D are back with their first material since 2010. The bubbly beat makes me want to get up and pop dance moves like the bald chick in the music video, not that I’d want to show her up with my dancefloor talent. Rihanna also appears on the track - not singing but rapping. Who knew she could spit bars? She’s not as good a rapper as myself, but hey, we can’t all be as amazing as me. Opening with twinkly synths that could score the sad scene from a Studio Ghibli movie, the last thing I expected was to be assaulted by an ear-piercing cacophony of extreme dubstep wubs. It’s completely inappropriate. I feel like I’ve just watched the tragic stampede scene from the Lion King only for Mufasa to suddenly reanimate as a zombie and gnaw Simba’s head off. I feel violated. At the same time, I can’t help but find it impressive and amusing. Talking of death scenes, LA psych rock act Loveless Death Scene caught my ear this week with this new melancholy track. There’s a hazy shoegaze quality to it – only the guitars have been warped with phasers rather than being swamped with reverb. Loveless Death Machine have a new EP out called Hopeless Dream Machine – my fellow music junkies can stream it here. After a build-up of Muse-like riffs and an explosive chorus, I thought I had this Brisbane rock act figured, but instead the song diverts into a guitar solo followed by a beautifully ambient interlude. 'Change' lives up to it's name by constantly changing direction (and the band live up to their name by being strange enough). Eminem needs to stop writing songs about writing songs. It’s getting tedious now, and it doesn’t help that he’s starting to sound like a cornier version of Macklemore. Even Beyoncé is unable to salvage it with her sappy chorus. The whole thing just ends up being a duller version of Wiz Khalifa and Charlie Puth’s ‘See You Again’. I've seen spheres more edgy than this cheap knock-off of Marilyn Manson.